Following a successful two game road trip, the Spartans return home on a three game winning streak. The team hosts Throwback Weekend at Adelbert Gymnasium on Feb. 2 and 4. 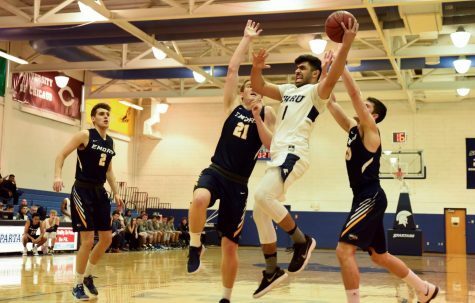 The Case Western Reserve University men’s basketball team grabbed attention this past weekend as they defeated Brandeis University 89-58 on Friday, Jan. 26 and defeated New York University (NYU) 77-75 on Sunday, Jan. 28. With the two victories, the team swept a University Athletic Association (UAA) road weekend for the first time in school history. The win at NYU was also the Spartans’ second-ever road victory over the Violets, and their first since 1999. 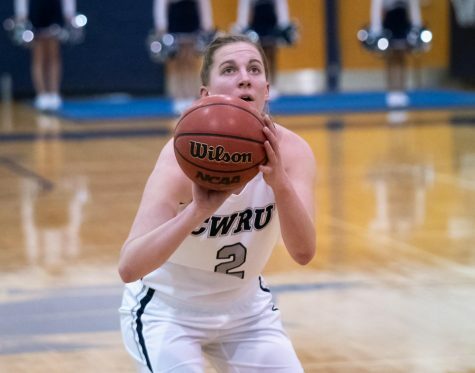 Finally, in the win against Brandeis, CWRU tied the UAA record with 18 3-pointers. However, in order to attain these accolades, the Spartans had to work hard on the road. Their first stop was Waltham, Massachusetts to visit Brandeis University. 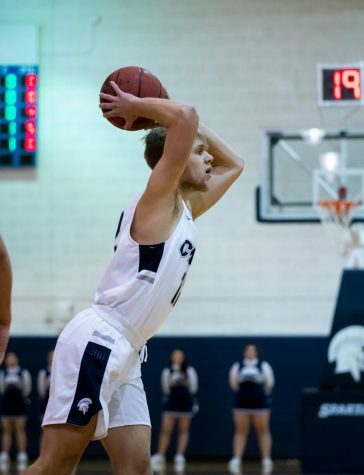 The Spartans had a hot start as first-year guard Ignas Masiulionis hit two 3-pointers and a pair of free throws, while second-year guard Sam Hansen chipped in a three to give CWRU a 13-4 lead five minutes into the first half. First-year guard Antonio Ionadi started to heat up as well when he hit two threes. Combined with with second-year forward Michael Hollis’ layup, CWRU increased their lead to 21-9. The team went on a 10-2 run that was capped by Ionadi’s third 3-pointer, which extended the lead to 15. CWRU ultimately led 42-27 heading into halftime. The Spartans didn’t let up their first half intensity, as they came out in the second half on a 11-3 run with threes by Hansen and first-year guard Michael Volkening that pushed the lead to 53-30. Second-year forward Connor Nally hit four of his five threes in the second half. With his contribution and a late 7-0 run, CWRU guaranteed their victory with a final score of 89-58. Masiulionis led the team with 16 points and four of the team’s record-tying 18 3-pointers. Nally finished with 15 points and five 3-pointers. The team then traveled to New York City to face NYU. The Spartans picked up where they left off at Brandeis, as they came out of the gates on a 11-2 run. Once the Violets cut the lead to five points, CWRU went on an 8-0 run with threes by Masiulionis and Ionadi and a layup by fourth-year forward T.J. Duckett to go up 19-6 just nine minutes into the period. However, a late NYU run cut the lead to 36-29 going into halftime. NYU came out in the beginning of the second half by cutting the lead down to five, but Masiulionis hit a three to give the Spartans a 49-40 lead. The Violets went on a 9-2 run that brought them close, giving the Spartans only a two-point lead, 51-49, with 10 minutes left in the second half. NYU began to apply pressure on CWRU’s lead and ultimately lead 64-63 with about 3 minutes left. Duckett responded to tie the game at 64 by splitting a pair of free throws, but the Violets hit back-to-back baskets to take a four point lead with just 77 seconds left. Duckett then led a comeback by hitting two free throws with 55 seconds left to cut into the lead. The Spartans fouled Violets third-year forward Jule Brown, who missed his first, and only, free throw attempt. Ionadi then drove to the hoop and hit a layup with 24 seconds left to tie the game at 68. NYU’s attempts to hit a game-winning three were futile as Nally blocked one try and the second attempt missed the basket. 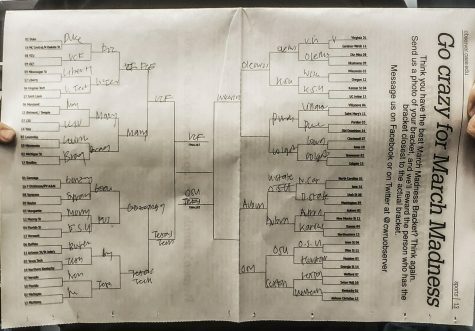 Going into overtime, the teams traded baskets, and the score became knotted up at 72. 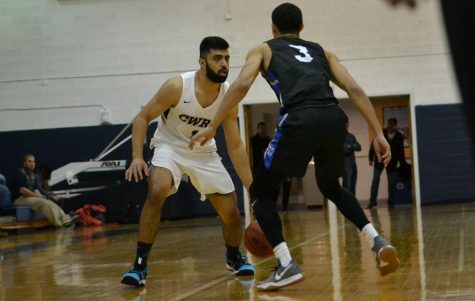 CWRU was able to pull away as Masiulionis hit a three and Volkening hit a pair of free throws to give the Spartans a 77-72 lead with two minutes left. The Spartans held on for the 77-75 victory, as NYU converted three free throws but missed their last-second attempt to win the game. Masiulionis again led the team with 22 points, making eight shots on 17 attempts. Duckett added a double-double with 16 points and 13 rebounds. 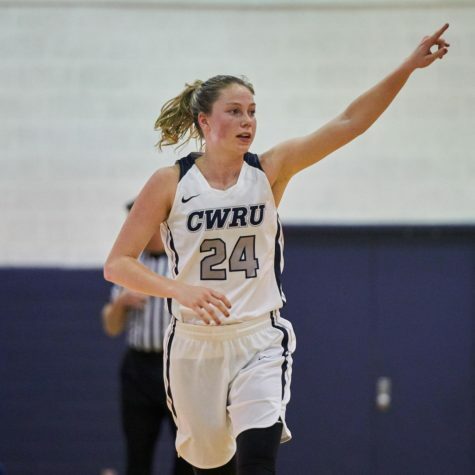 CWRU finished the week with two wins and is currently on a three-game winning streak, bringing their season record to 10-8 with a 4-3 mark in the UAA. 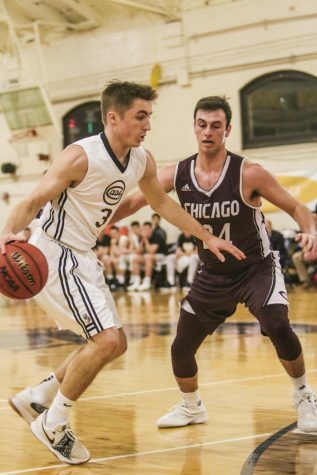 Brandeis and NYU will look to avenge their losses to CWRU as they both will visit Adelbert Gym for Throwback Weekend. 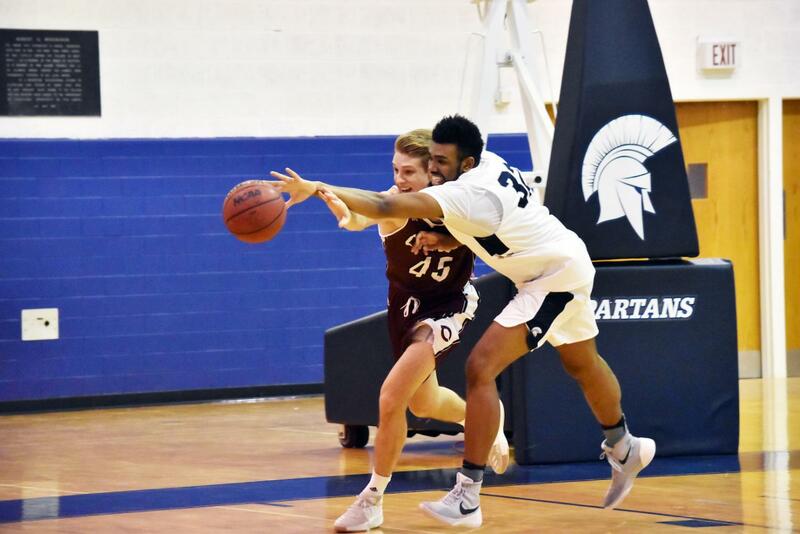 The Spartans will play as the Western Reserve Red Cats when they face Brandeis on Friday, Feb. 2 at 8 p.m. and play as the Case Institute of Technology Rough Riders when they play NYU on Sunday, Feb. 4 at 12 p.m.